This one sounds crazy, but crazy is good here in LA. 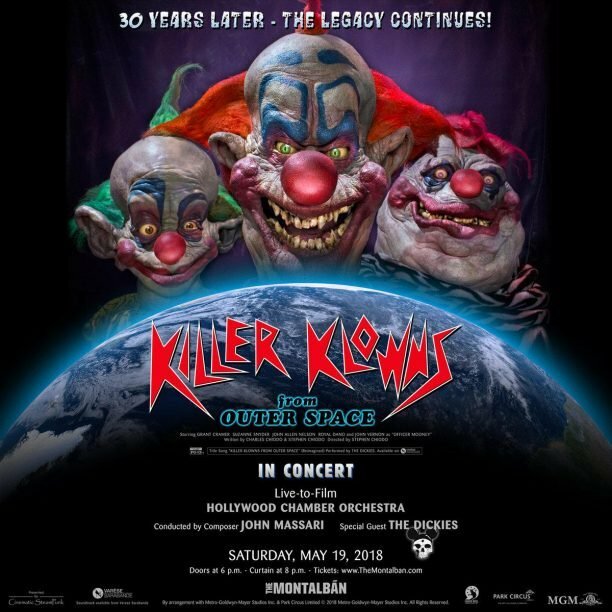 We're a horror town, we love horror films and this May we're celebrating like it's Halloween up in here with the Killer Klowns from Outer Space Live Concert. Killer Klowns comes from the Chiodo Brothers, who've been in the horror business for decades. They came up with this ridiculous horror movie with a killer soundtrack and made all the monsters. Now it's back after 30 years to celebrate how weird it is with a live concert show on top of a building in LA. Check out the details below including a contortionist, stilt walkers and killer klowns walking around before the show.